Joseph Nathaniel France, K.C.M.G.,C.B.E., J.P., former Minister of the National Assembly, was born in Mt. Lily, Nevis, on the 16th September, 1907. Before the holidays ended, he was offered a job as Office Boy with the St.Kitts-Nevis Universal Benevolent Association Ltd., a friendly society then called “The Union,” at its office on Cayon Street, near West Square. His parents in Nevis consented for him to take the job only on the condition that he continued his schooling at some evening class in St.Kitts. The office bearers of the St.Kitts-Nevis Universal Benevolent Association Ltd. Were:-President Fred Solomon, an undertaker, who was succeeded by J. Matthew Sebastian, a school teacher; Secretary J.A.Nathan, a retail merchant; and G.Wilkes, a barber. These men have passed on. The founders of this friendly society had intented to form a Trade Union, but the Colonial Government of that time prohibited the formation of any Trade Union in St.Kitts. The ban was enacted in 1916 by the Legislative Council. The founders, therefore, had to change the intended organisation to a friendly society so as to avoid a clash with the laws of the day. However, the St.Kitts-Nevis Universal Association (U.B.A) was still popularly called “The Union,” down to the end of its existence in the 1930’s. France started his career as a printer at the Progressive Printery Ltd., which was connected with the U.B.A. and which in 1921 started publication of a newspaper, “The Union Messenger,” edited by J. Matthew Sebastian, the father of His Excellency the Governor-General, Sir Cuthbert Montraville Sebastian. That paper strongly advocated social, industrial and political reform in the territory. To its pages France contributed as a reporter, columnist and a short story writer. In its role as champion of the underprivileged, the newspaper paved the way for the formation of the St.Kitts Workers’ League Ltd. In 1932, afterwards renamed the St.Kitts-Nevis-Anguilla Labour Party. As one of the early members of the Workers’ League, France took an active part in labour programmes to arouse the working population to consciousness of the need to organise for the advancement of their common interests. Public meetings, leaflets, the distribution of British socialist literature, petitions to the then British Colonial Office, interviews with visiting British Officials, etc., were all used to good advantage. Within a few years of the inception of the Workers’ League, Mr France was elected to the Board of Directors. Among other things, this gave him an outlet for self-expression and for putting into practice some of the things he had learnt as a member of the literary society – St.Kitts Mutual Improvement Society – centre at Lower Market Street. Its quarterly syllabus included public speaking and debating, essays, appreciation of poetry, musical evenings, etc. On such evenings, piano selections were his contribution to the programme. He also played the clarinet and other instruments in bands and orchestras. As a Director of the Workers’ League, he was in the front line of Labour leaders filling the role of peacemaker on the scene of the Buckley’s Riots of 1935. For two days in January, the island was in the throes of a labour disturbance arising mainly from a request of sugar workers for higher wages. When nothing else could calm the situation, the Government asked the leaders to make an appeal to the people to end the unrest. This was done with printed leaflets and personal contact with the crowds which concentrated between Buckley’s Estate and St. Johnson Village. Along with Thomas Manchester and W.A.H. Seaton, President and Secretary, respectively, of the Workers’ League, and other Directors, Mr. France grappled with the issue. But the gruesome climax came with the reading of the Riot Act and the opening of gun fire resulting in the death of three persons, injury to several and imprisonment of others. Two years another kind of crisis faced the leaders of the Labour Movement. The issue was the right to vote. Up to that time the fourteen members of the Legislative Council were all appointed by the Governor. These were made up of Government Officials, sugar estate owners, merchants and professional men. The working class had no representative there by the chosen by the working masse. In 1937, a big battle was centred around the introduction of the elective principle into the territory. The bill was debated in the Legislature and was defeated by weight of the combined opposition to Labour. Marshalling the ranks of fellow workers, the Labour stalwarts canvassed the three island St.Kitts-Nevis-Anguilla to gain support in the course of the struggle. Evidence of public opinion was wanted as to whether Representative Government should be introduced here. The opposers submitted a memorandum to the authorities signed by some 200 people asking that there be no change in the Crown Colony system of Government. Against this the Workers’ League presented a petition signed by 2,447 persons asking for the right to vote. Eventually this was accomplished. But after that, the first electioneering campaign under the new constitution in 1937 was a political confrontation of great magnitude. France played his part amidst others and brought the Labour Movement through the issue with flying colours. In 1938 France was elected Secretary of the Workers’ League after the death of Mr. W.A.H. Seaton. Mr. France was a member of the League’s delegation which gave evidence before the Royal West India Commission of 1938-39 appointed to inquire into social and economic conditions in the British Caribbean. The need for trade union laws, workmen’s compensation, land settlement, slum clearance, better health and educational facilities etc., were stressed by the delegation. The Trade Union Act was one of the fruits of the Workers’ League agitation. Under this law the St.Kitts-Nevis Trades and Labour Union was organised in 1940. It brought the industrial emancipation of the working class. Mr. France was elected as the first General Secretary and re-elected every year until his death on 21st May,1997. He helped to re-shape the structure of the Trade and Labour Union into the nineteen sections now existing. He has experienced industrial conflicts of various kinds and has taken part in negotiations, conciliation of issues, etc., and has also represented the Union abroad on several occasions. After the death of Mr. Sebastian in 1944, “The Union Messenger” was edited by Mr. France until the newspaper ceased publication in the 1960’s. He was also editor of the “Workers Weekly,” which was published by the Workers’ League from 1942-1956. He was a member of the Editorial Board of the “Labour Spokeman,” the official organ of the St.Kitts-Nevis Trades and Labour Union, and contributed regularly to its publication. Comrade France was first elected to the St.Kitts-Nevis-Anguilla Parliament (Legislature) in July 1946 when there were just three (3) elected representatives provided for St.Kitts under the Constitution Ordinance of 1937. (The other two elected representatives on the Workers’ League ticket were the revered Labour leader Comrade Robert Llewellyn Bradshaw and Maurice H. Davis, (the late Sir Maurice Davis) who went on to become Chief Justice of the West Indies Supreme Court. Comrade France served as “Member for Social” (from 1952) before the full Ministerial System was introduced in 1960. He then became the Minister for Social Services (which included Education, Health and Social Affairs under the then Labour Administration headed by Comrade Paul Southwell, Chief Minister). 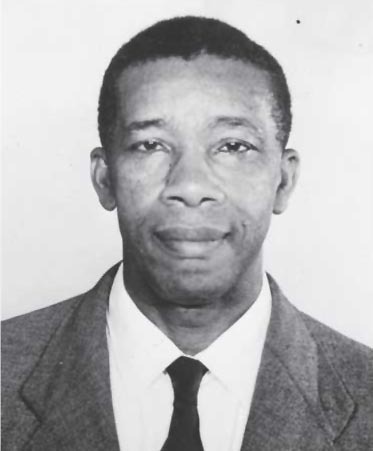 When the new hospital in Basseterre was put down at its present site in Buckleys in 1967, it was named after him, on account of his invaluable service in the field of health and other related areas. Comrade France has successfully contested nine General Elections- 1946,1952, 1957, 1961, 1966, 1971, 1975, 1980, 1984 – as a representative of the people of St.Kitts (representing the constituency and people of West Basseterre from 1952 when adult suffrage was introduced in the territory of St.Kitts-Nevis and Anguilla, until 1984 when he retired from active politics). He also helped to enact legislation in the country providing for the National Provident Fund, Protection of wages, minimum wages for Domestic Servants and Shop Assistants, Acquisition of Sugar Lands in St.Kitts, Re-cast of the Education System, Central Marketing Corporation (CEMACO) etc. 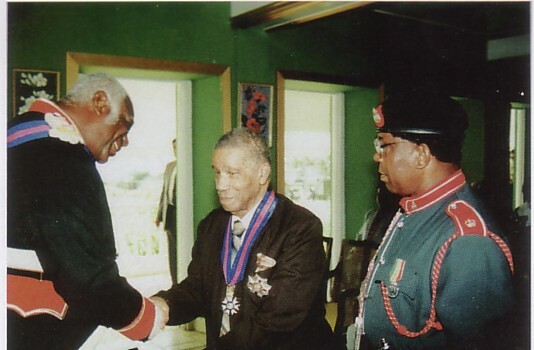 In 1978, he was gracious awarded the honour of the Commander of the Most Excellent Order of the British Empire (C.B.E) and in 1996, Her Majesty the Queen awarded him the Knight Commander of St. Michael and St. George and the honour was presented by His Excellency the Governor General, Sir Cuthbert Sebastian KCMG. Comrade France has been in the vanguard of every progressive movement that has emerged to look after the landless people in this country. The son of Thomas and Mary France. Comrade France came to St.Kitts at the tender age of 13 years to spend school holiday with his relatives at New Town, Basseterre. Today, there have been 26 visitors (54 hits) on this page!